Last year I signed up the Disney Princess Half Marathon for two reasons: it is Disney, and it is Children's Miracle Network Hospitals. For 10 years now the Disney Princess Half Marathon has been one of the most magical races there is. And it supports CMNH kids all over the country. Being that I was Miss Vermont when I signed up, and when I ran, that was a big deal to me. But this year? This year was going to be my redemption run. See, last year, I ran into some issues. So being now that I am this seasoned half-marathoner, I thought I'd give you a quick run-down (lol) about how this runDisney business works. 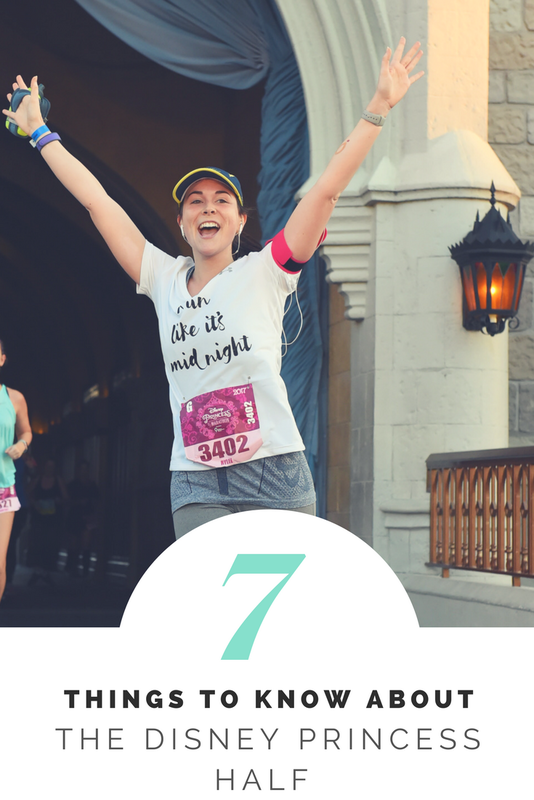 If you're thinking about running in a Disney event, particularly the Disney Princess Half, this is for you. In fact for my first year, I was in D.C. at Miss America orientation, literally eating lunch across from Miss America herself, and registering at the same time. I was frantically texting my mom, and on the website. This past year was no exception, given that it was the 10th anniversary, it went even faster. With 25,000 people running this race, it gets pretty crazy. Unless you're a central Florida resident, you'll be traveling to the race. Naturally, for me that includes a flight, a hotel, and well, a few days a Disney. For seasoned Disney-goers, you'll know that peak times like race weekends are no joke in the parks and at the hotels. While we typically stay at Disney's Wilderness Lodge, we opted (twice) to stay at lower cost hotels. Well, when they host an event like this, they know they can sell out, and yep, the prices sky-rocket. So for year one we stayed at Art of Animation, and for year two we chose Caribbean Beach. Look, I'll say this 'til I'm blue in the face, but if you are going to run a half marathon, you need to train for it. While runDisney events are the best for new runners, and first time half-marathoners, it's still 13.1 miles. In Florida heat, no less. You've got to start somewhere, and you don't want the first time you run long distance to be at 5:30 AM on the day of the Princess Half. If you'll be spending days in the parks, you're going to be tired anyways. But because the race goes through the parks, it starts very early. We got to the bus stop at 2:50 AM (on Disney property,) and that got us the first bus to the corrals. By the time we got there shortly after 3:00 AM thousands of people were already walking to the holding area. Now, the first start time isn't until 5:30 AM. That's right, we killed time for 2 hours before we even started walking to our corrals. From there, the corrals go off in waves. I didn't even cross the starting line this year until 6:10 AM. Literally four hours after I woke up. Then I ran for two hours. Exhaustion is just part of the package here. When it comes to race days, you should always plan to recover, in some form, for the rest of the day. But with this, oy vey. I've been to Disney many times, in many different months. But I have never seen it as busy as it is during race weekend. There are crowds at the parks, crowds for the buses, crowds at the Expo, crowds every where. This is by no means unmanageable, but it's definitely something you need to know going into it. I'm happy to say as the resident Field Family Planner, I was totally prepared going into my first Disney Princess Half. I read a lot of articles. I knew all about arriving for the first bus before 3:00 AM. I knew all about getting into and out of the Expo. I knew what to expect that morning. Do your research! Do your training runs! Make your dining reservations! It makes what could be a stressful trip so. much. easier. Listen, Disney does alllll the heavy lifting on this one. They aren't kidding when they say it's the most magical half marathon, it's really something else. There are DJs, bands, choirs, characters, fun signage, cast members, and movies playing all through your 13.1 miles. But it's up to you to embrace the crowds, the heat, the craziness, and have a magical run. All and all, I totally recommend runDisney events. They are well-executed, well-planned, and well-staffed. They are easy (well, they are flat.) And oh heck, they are fun. Would I do another one? But I'm not saying never again!